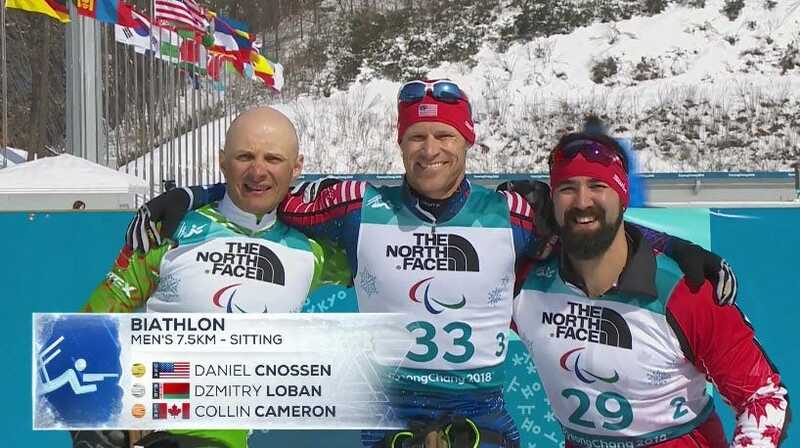 Dan Cnossen, a Navy Seal with a purple heart and a bronze star, won the 7.5 km seated biathlon at the Winter Paralympics in Pyeongchang. Cnossen finished 14th in the same event at Sochi in 2014 and had never won this event in any previous international competition. Cnossen was a platoon commander for SEAL Team One in 2009 when he stepped on an IED and lost both of his legs just above the knees. Dan Cnossen is a Navy SEAL platoon commander with a purple heart and a bronze star. Now he is also a gold medalist. Cnossen won gold at the Pyeongchang Winter Paralympics in 7.5 km seated biathlon. Biathlon is the seemingly unusual event that combines cross-country skiing and target shooting (there is actually a logical explanation for the combination). Now add a huge degree of difficulty of athletes having to do the entire event with just arm strength and even having to navigate the transition from seated skiing to laying down – and back – for the shooting portion. Cnossen successfully hit nine of his ten targets and when he crossed the finish line he had a 9.3 second lead. At the time, his finish was still up in the air due to the staggered starts for the skiers. He even seemed unaware of his strong performance. 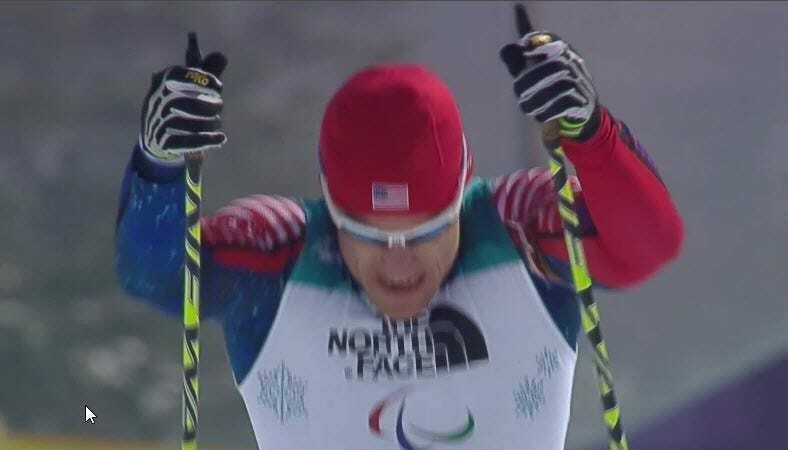 “A guy who was taking the transponder off was saying, ‘I think an American is in at first,’ and I was like, ‘Maybe that’s me,'”Cnossen told NBC. Dzmitry Loban of Belarus, who started after Cnossen, still had a shot to catch the American, but crossed the finish line 7.3 seconds behind to take silver. Here is the moment Cnossen crossed the finish line to take the lead. Cnossen was a platoon commander for SEAL Team One in 2009 when he stepped on an IED in Afghanistan and lost both of his legs just above the knees. The 37-year-old was awarded a Purple Heart and a Bronze Star with Valor for his service. This is Cnossen’s second Winter Paralympics, having participated in five events in Sochi in 2014. 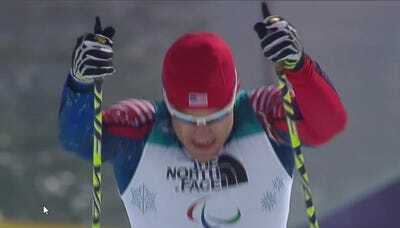 His previous best finish in any Paralympic event was fifth and he finished 14th in this event in Sochi.